Browse the history of your local M&S. Our stores are at the heart of M&S. 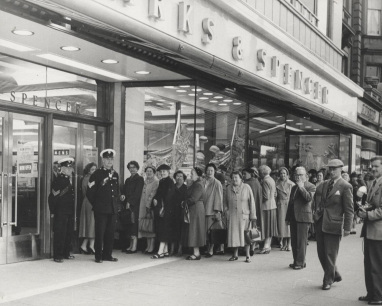 Browse our store photographs and find out about the history of M&S in your town. Why not see if you can spot a store front from your local area? Take a trip down memory lane and see how stores looked and find out how they worked too. Discover more about the history of our stores.